Looking for a film festival in London? You’ve just found one that’s covered in horror and will satisfy your need for independent film. 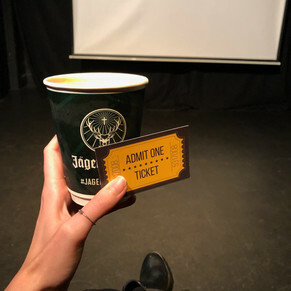 The Unrestricted View Film Festival in North London is back with it’s third year, and last night saw a very busy opening night with Paul Busche‘s film KILLERS WITHIN. If you get the chance to check out this indie Irish film once it’s available, I would highly suggest you do so as it’s a home invasion film with a very unexpected and fun twist, which hasn’t been done before. James Wren, Director of the festival, is sadly stepping down after this years festival but the very talented Tony Sands (Echoes of the Passed) will be taking over as Director. The festival is sponsored by some of the best in horror including The London Horror Society, Last Shirt on the Left, Love Horror and more.